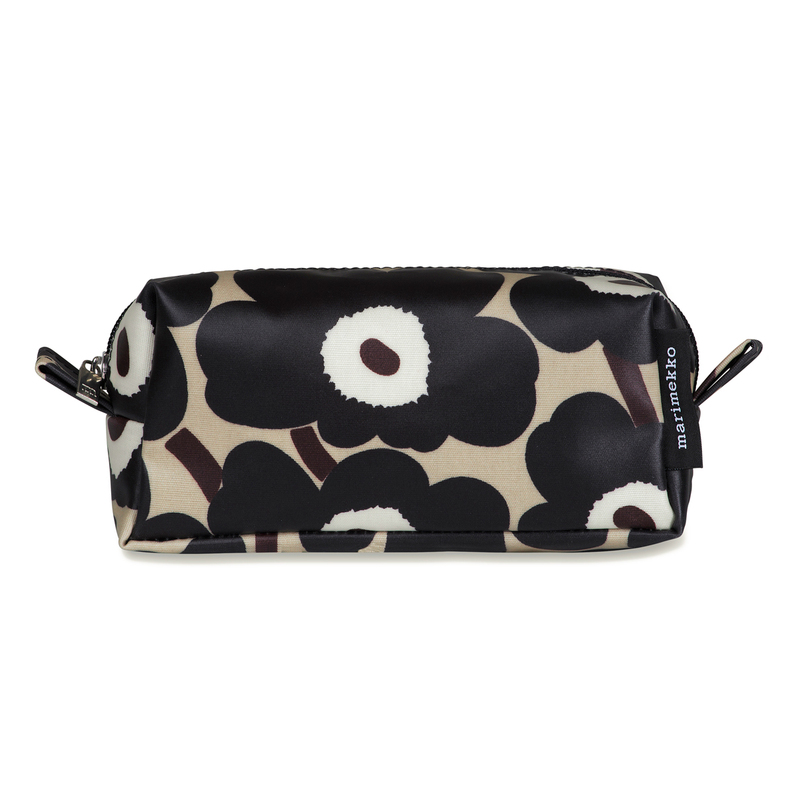 More about Marimekko Unikko Beige / Charcoal Taimi Cosmetic Bag Hues of beige, ivory, and dark brown are a great way to start your day, and may even inspire your natural daytime look. 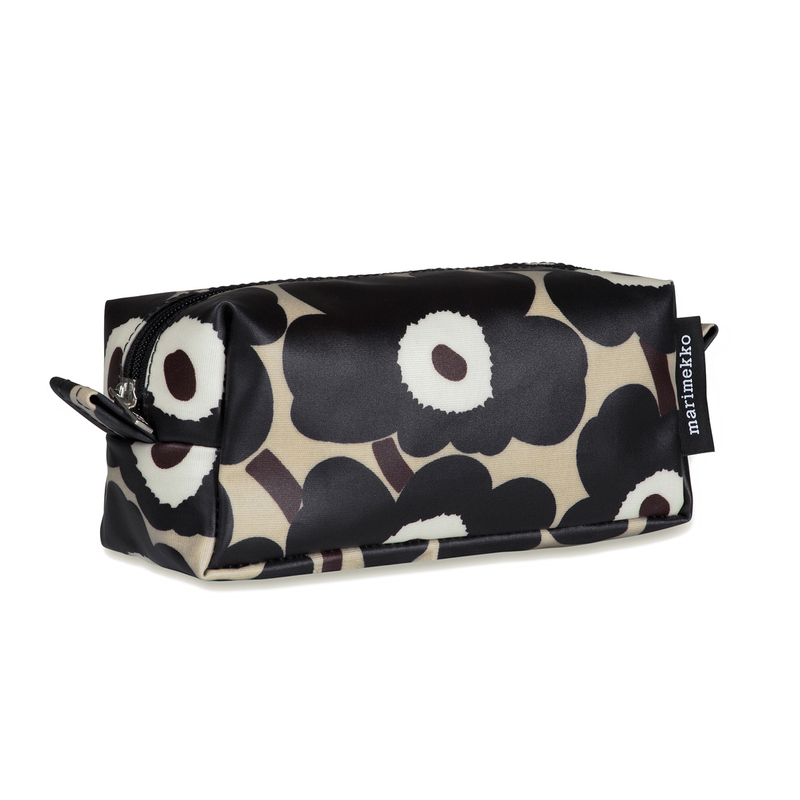 Keep your cosmetics organized in the cute and compact Marimekko Unikko Taimi Cosmetic Bag. It's perfect for everyday countertop storage and also ideal for weekend getaways. The zipper enclosure opens up to a PVC-coated interior that makes cleaning makeup spills a breeze. Not a makeup wearer? Use this as a pencil case, toiletry bag, or first aid kit. MATERIAL: 100% Cotton Canvas. Lining is PVC-coated.